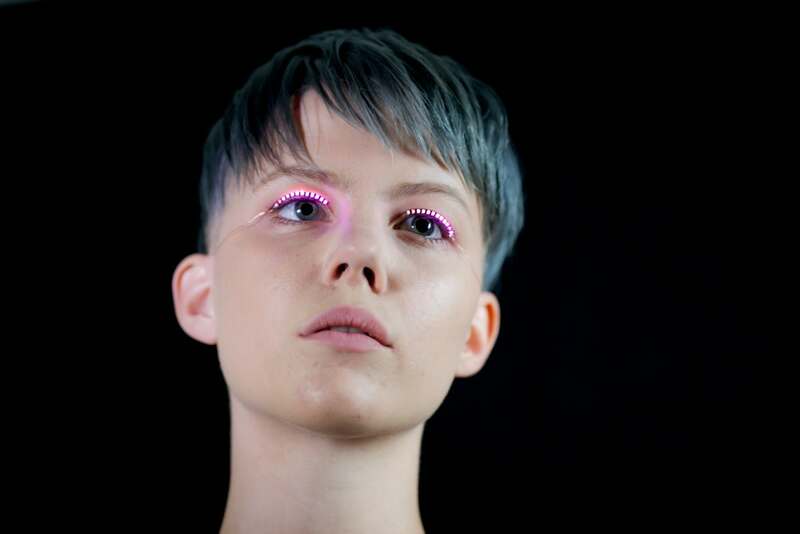 Essentially just a small LED strip that sits on your eyelid and is connected to a small motion-sensing controller located at the back of your head, f.lashes brings eyebrow enhancement into the 21st century. f.lashes LED eyelashes are currently available on Kickstarter from US$40 f.lashes LED eyelashes come in seven different LED colors A single 3V battery powers the f.lashes LED eyelashes for four hours The f.lashes LED eyelashes have several different lighting effects modesAfter designer Tien Pham wore his f.lashes prototype at Maker Faire in San Mateo, California last May, the idea went viral and now his crowdfunding campaign has more than doubled its goal with over two weeks left to run. The LED eyelashes can be applied using standard fake eyelash adhesive and are reusable. 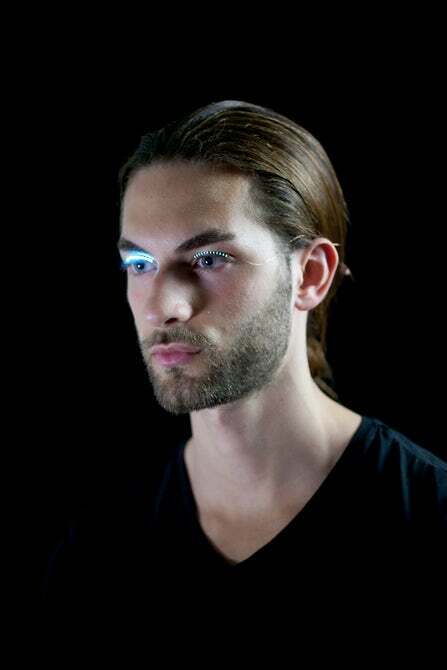 The initial prototype doesn't use RGB LEDs, as there are apparently none small enough to work with the current design, but you can get the lashes in seven different colors. The lashes will run for four hours powered by a single coin battery and reportedly don't emit any noticeable heat, so your eyeballs will not slowly cook while you're wearing them. The motion-sensing controller has five different light effect modes, from random patterns to a Knight Rider-style side-to-side scrolling effect. Different motions of the head can activate different effects, meaning the LED lashes will respond to your jiggy dance moves. At this stage the device does look like what you'd expect from an early prototype, but there are plans to refine them before for production. The fine wire connecting the lashes to the controller appears to be one area requiring some attention as it does look especially fragile. Fashion forward ravers can pledge US$40 for one controller and one set of lashes, or $100 for one controller and seven sets of lashes. Current estimated delivery is January 2018, but as with any crowdfunding campaign, there are no guarantees. But backers will presumably be hoping they arrive before next year's Burning Man. Take a look at the f.lashes video pitch below.